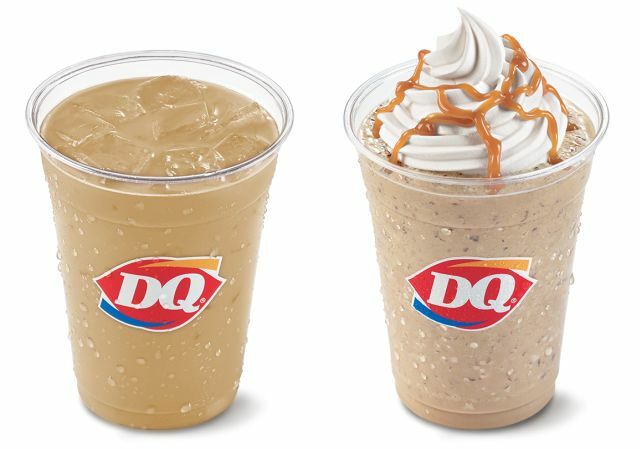 Dairy Queen now serves new Iced Coffee and Frappes nationally, featuring several flavors including Salted Caramel. Iced Coffees are available in Vanilla, Salted Caramel, and Mocha flavors, while DQ Ultimate Frappes come in Oreo, Caramel Chip, and Midnight Mocha flavors. The chain is also offering new Strawberry Watermelon Orange Julius Premium Fruit Smoothies. Iced Coffee, Frappes, and Smoothies are also available at a discount during the chain's recently-introduced happy hour deal, from 2 to 5 PM.